Who are you? Tim and Heather Hunter-Whitehouse – one of those teacher/nurse combination couples! Why Margate? Is there anywhere better? Seriously, we fell in love with it visiting our god-daughter here a couple of years ago, made a five year plan to move to Margate and then realised that 5 years was far too long – and so here we are! First Margate memory? Heather: I remember coming with Tim on a badminton club day trip to the seaside 25 years ago and absolutely hating it – if he’d told me then that one day we would be moving here I’d have said he was mad! Tim: Coming here as an adult to visit my god-daughter, driving along the Canterbury Road into Margate and seeing the town, the bay, the harbour arm and the sea meeting the sky – what a fantastic sight! If you were an animal what you be? Heather – I’m pretty content being human, but Tim would definitely come back as a cat – fed, watered, well looked after but completely independent and on his own terms! Best and worst thing about your renovation experience so far? Easily the best thing has been finding the perfect builder – Paul Hayward from ThanetBuild – who has completely understood what we want to do and has helped us work out how to do it. The worst thing has probably been working out how to overcome the problems of having a gulley roof – not the best design feature of an 1850s house! If you could change one thing about your house what would it be? We love the house – big rooms, high ceilings, deep skirting boards and just a hundred yards from the beach – but if we had three wishes we’d have sea views, a garden full of trees and a garage – but you can’t have everything. Do you have a bucket list? if so what is at the top? We are planning on being around for a long time so haven’t put much energy into a bucket list yet. What building would you like to be locked in over night? The old Hampstead Classic Cinema in South End Green (sadly long gone) for a late night double bill – with coke and popcorn at 1980’s prices! How do you define style? To misquote William Morris – something that is either beautiful or practical and is ideally both at the same time. Who are your heroes? The word conjures up David Bowie or the Stranglers and sticking with the music theme but heading into politics it would be Billy Bragg, Woody Guthrie and Steve Earle – giving a voice to the disenfranchised. What would you do if you were Mayor of Margate for a day? No Tesco on the seafront, get the Dreamland regeneration going, begin the renovation of Arlington Towers and dredge the rotting seaweed from beneath the harbour arm! Object of desire for your home? Already purchased from Andrew in Paraphernalia – a fantastic Arts & Crafts sideboard. What couldn’t you live without? Friends and family. What’s your biggest weakness? Collecting – eBay, antique shops, charity shops – there could be something wonderful round every corner! Favourite space in your house? It will be our kitchen dining room, opening up the whole of the lower floor into one great living space. Describe your perfect day. An early morning walk on the beach for breakfast at Fort’s, strolling into the Old Town and picking up something vital at Paraphernalia then meeting up with friends for a pint at the Lifeboat. Best advice you’ve been given? I’m much better at giving advice than taking it (says Tim), but it would be from all our friends and family who have been so positive and supportive through our move to Margate. Favourite place to eat and drink locally? Oh how to choose??? The Lifeboat for a pint and Julian’s fantastic smoked mackerel, The Greedy Cow’s pulled pork sandwich, meatloaf at BeBeached, Fort’s macaroni and cheese and the pear & cambazola pizza at the GB Pizza Company. In 10 years time where will you be? Right here in Margate, no longer commuting to London. What are your goals for 2013? Tim – taking a break from running a school and doing an MA. Heather – funding that MA and settling into our wonderful new home and community. 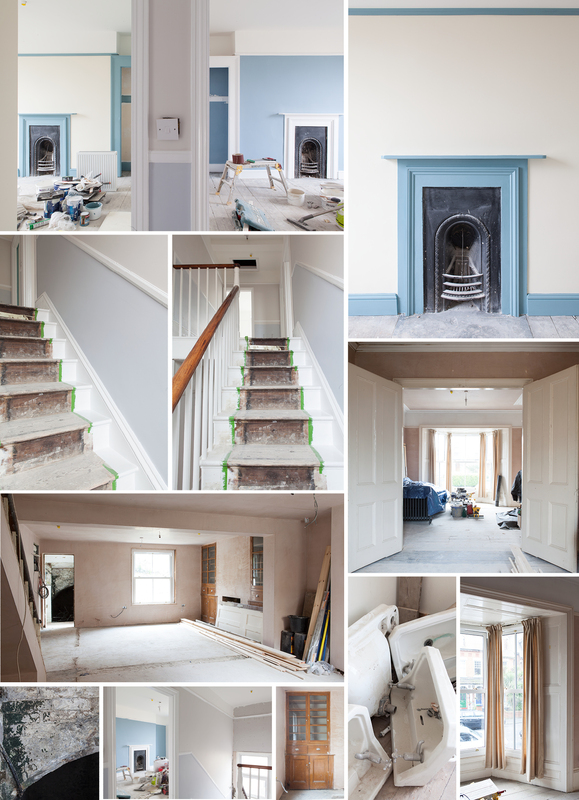 ROUND-UP: The restoration of this Victorian property is only part way through but already it is easy to imagine the subtle elegance that will be achieved. Calm subtle colours cover the clean pristine walls. Original fireplaces restored and great reproductions where needed. 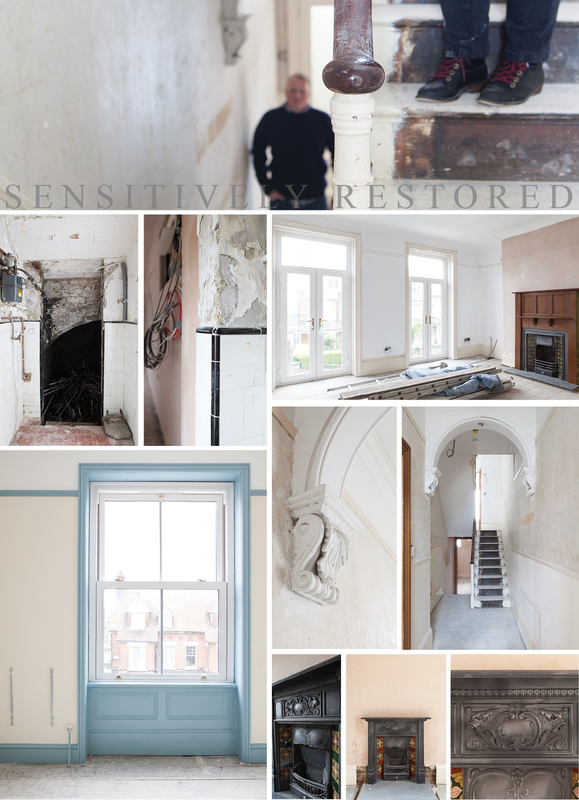 This Victorian home is being transformed into a 21st century home whilst sensitively respecting its past. Tim and Heather still have the task of furnishing the many rooms of this house and we will be back to visit in a few months to see how they do!